The family is now in Siena, Italy. So of course I’m going to talk to you about Athens the capital of Greece. The last day in London we went back to Heathrow to fly to Athens. We took a taxi to our hotel in Athens. The hotel was great depending on whose point of view it is. I’ll tell you it was great. Joe, on the other hand, will tell you it’s crap. His bed was right beside the door and on the way to the bathroom for the oldies. The first day there we went to the Parthenon (the Acropolis for all the haters looking to correct me). Then we went to a nice dinner with lots of cats! Joe was in heaven he just stared at them imagining cuddling with them. Hadrian’s Gate, built by the Roman Hadrian (of course). 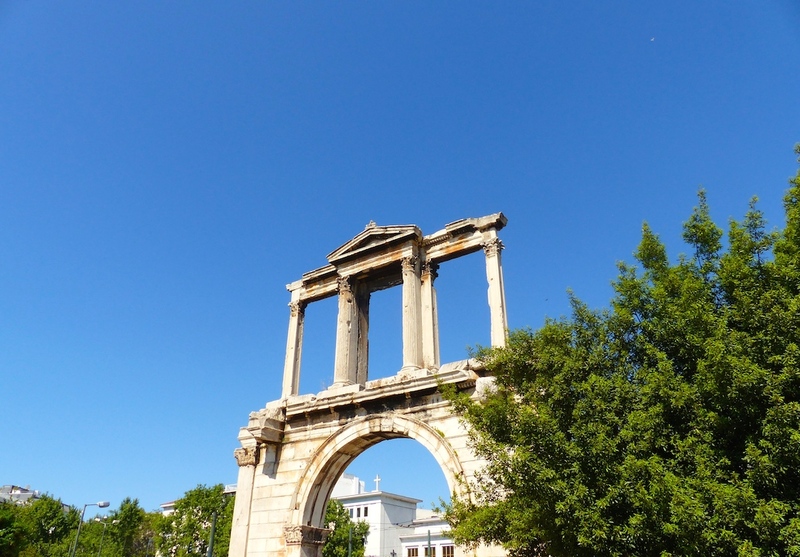 The second day we just walked around the city looking at Parliament, Hadrian’s Gate and all the many ruins in the city of Athens. The same day we went to the Acropolis Museum. Fun fact: Athens supported Mark Anthony and Cleopatra in the Roman civil war. The third day we went to the hill across from the Acropolis. Are you starting to see a pattern yet? 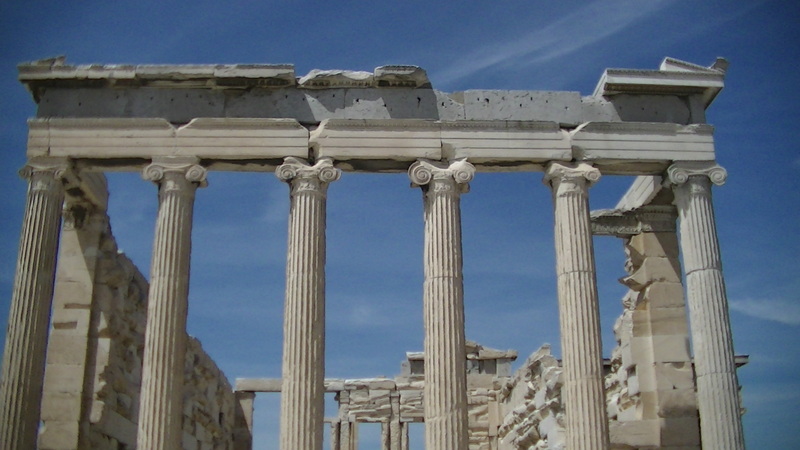 We went to the place where they think the Greece politicians kept Socrates. They also built a statue to the Roman emperor Augustus (they guy that won the Roman civil war, you see why they built it now). 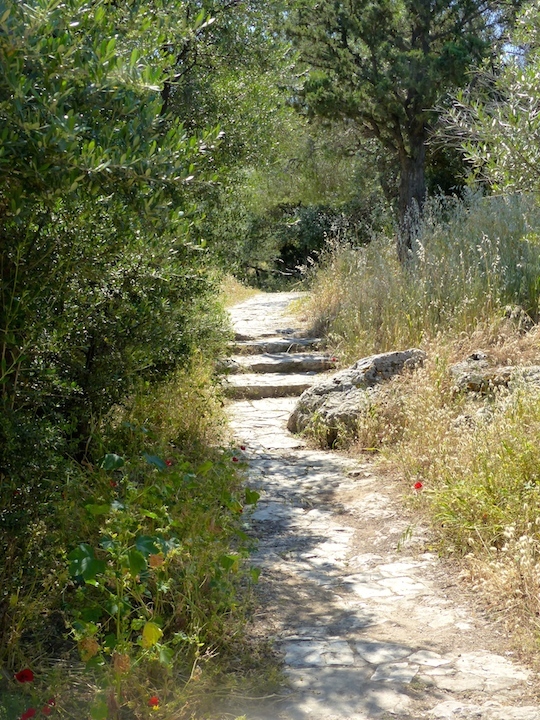 The path to Socrates’ cave. There are a lot of cats I mean a lot you can’t go a day in Athens with out seeing at least five cats. We saw lots more than five a day but for the sake of the doubters I’ll scale it back to a believe able scale. Then we went to the port, got our ferry tickets and took a trip to Naxos. 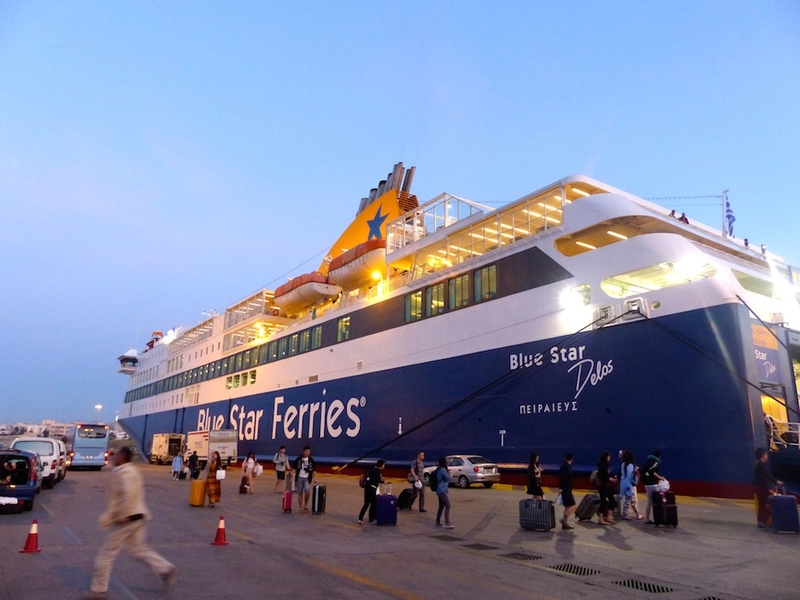 Our ferry to the island of Naxos.